In every mining operation the machinery is at the heart of every operation. 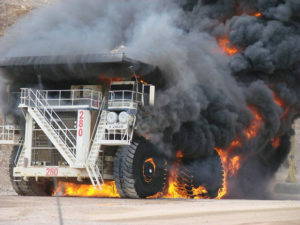 If your equipment is damaged or disabled by Fire, your productivity would be negatively impacted. With our tailor made fire suppression systems, which have been proven and tested to the highest international standards, the risk of fire to your equipme nt will be kept to a minimal, ensuring that your operation runs without any loss of production due to fire. With our fully trained personnel and our knowledge of the tough mining environment throughout Africa we can assure our clients of a 24/7 support throughout the African Continent. 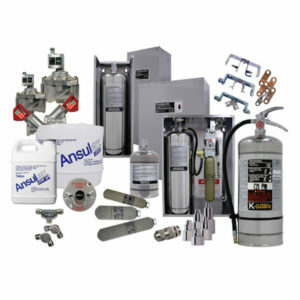 The Ansul Vehicle fire Suppression Systems has the latest technology in automated vehicle Fire Suppression Technology. The fully monitored automatic detection systems we not only monitor the system 24/7 but also record the last 5000 events. The LVS Fire Suppression system agent provides both fire suppression and superior cooling of superheated surfaces while blanketing the fuel and cutting off oxygen to help prevent re-flash. It flows readily into hard to reach areas along the same path flammable liquids may have followed. With our integrated electronic maintenance module our clients can have peace of mind that their assets are regularly maintained. Pre-scheduled alerts and maintenance planning modules allow for minimal downtime and precise planning in executing the required Maintenance Modules. Electronic maintenance reports allows for regular reviewing if the work being conducted and can be integrated with your stock management system. We take pride in every installation on our clients equipment and ensure our clients of not only a superior product but a solution that is fit for every mining operation. Advanced Fire Suppression Technologies, after founded, began dealing solely in the fire protection line of business and secured the official sole distributorship of TYCO International safety products in Southern Africa. The TYCO Group needs no introduction in the Fire Protection sector, and is the largest fire protection group in the world solving fire protection needs since 1939 which includes the ANSUL product – The very product that dominate the kitchen sector in the 3 main purchasing groups. Normally the first step when selecting a fire system to protect your assets will be to perform a hazard analysis, and identify the equipment to be protected. This is where Ansul Kitchen systems have made it really easy to get surety that all is protected. To start off with, is Ansul Kitchen Suppression systems completely free standing and mechanically operational. However, the system can house electrical and gas shut-off valves to shut down appliances, sound alarms and fulfil various other uses. The following should not only be an incentive for the 3 main purchasing groups, i.e. The Kitchen Hood Fabricator and Kitchen Supply House, the A/E Consultants and Fire departments and the end user. The heart of Ansul Restaurant systems lies in their ability to quickly detect and suppress fires. They are designed in such a way that the complete canopy with the plenum area and ducting are protected. The R102 and Piranha Ansul Kitchen systems use advanced extinguishing agents to ensure rapid flame knockdown and vapour securement. Cooling these high efficiency appliances after initial flame knockdown is critical to eliminate a re-flash and minimising restaurant downtime. The best feature enabling developers and builders alike to make informed decisions such as the procurement of flooring products and appliances are the simple fact that the Agent consist of pretty much a neutral PH, not only contributing to the safety and environmental aspect, but also leaving stainless appliances and equipment to be free of corrosion when cleaned and maintained according to the Ansul Kitchen Fire Suppression System manual. The other fantastic part is that the whole system is made of stainless steel, which in return gain the respect of the aesthetic parts of any kitchen. This all said, and after our little introduction, I think we all know what the real questions entail, and what really does make this the best Kitchen Fire Suppression System in the world. Despite the fact that there are no official law in Southern-Africa, making it mandatory to have a Kitchen Suppression system in your commercial kitchen, there is however an increase and interest in sales, and have absolutely more than doubled over the last 3 years. And we as a company cannot be more proud to be seen as part of this rapid growing business in Southern-Africa. Two types of systems to choose from; R102 which has an Agent only as a Flame knockdown, simultaneously forming a thick blanket to prevent re-flashes, and The Piranha System, where the Agent is dispersed 1st as the main flame retardant and then water will follow, making the Piranha system not only 15 times faster than a normal single agent wet system, but also requires 60% less Agent. All systems are manual and automatic unless otherwise stated by the client. Systems can be designed according to a specific floor layout, however, the most popular is to put an overlapping system in place, that will give coverage anywhere underneath the canopy the system is installed on. Without singling anyone out, people are always quick to say that if there establishment should burn down then that is exactly the reason why they have insurance. But what they don’t think off is the downtime whilst repairing is taking place, wages that still needs to be paid, loss of regular clientele and even the realistic part that someone might have loss a life. Always have supplement fire fighting equipment, such as hand-portable equipment available. (Correct applications for specific fires). We are happy to answer any questions that you have via email sales@advancedfst.co.za or phone 011 869 2142. Our support team will get back to you as quickly as possible. 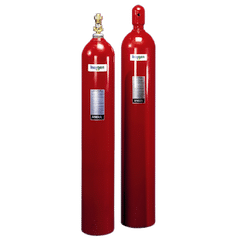 Gaseous fire suppression is a term used to describe the use of inert gases and chemical agents to extinguish fires, also known as clean agent fire suppression systems. These gaseous mixtures leave no residue behind and are designed to protect enclosures where there is a need for quick reaction to extinguishing a fire. 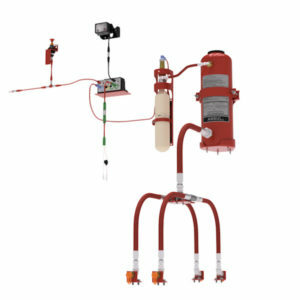 A fire detection system is needed to trigger the gas suppression system. These clean agents are governed by the NFPA Standard for Clean Agent Fire Extinguishing Systems. Approval listings include UL, ULC, FM, SABS and MEA. Gasses we use include FM200, Novec, CO², Inergen, Pyroshield, Pro-Inert and Argonite. 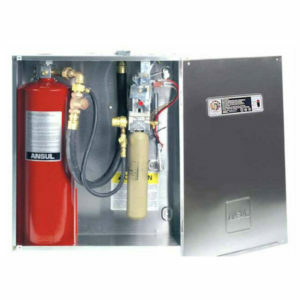 The most common uses for gas fire suppression systems are in server and computer rooms, MCC cabinets, museums, libraries, art galleries, archives, document stores, and medical and pharmaceutical applications. 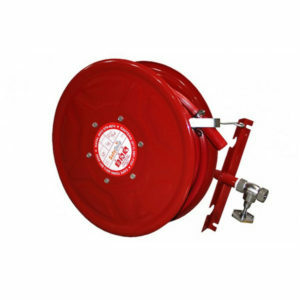 • Hydrant and hose reel reticulation. 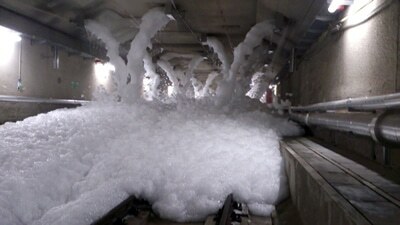 • Water spray systems, medium and high velocity. • Dedicated fire water supply pumps and water storage tank installations. • Fire / Smoke detection and evacuation systems. • Fire suppression gas installations. • Hand held fire extinguishers and appliances. • Fire stopping and sealing. 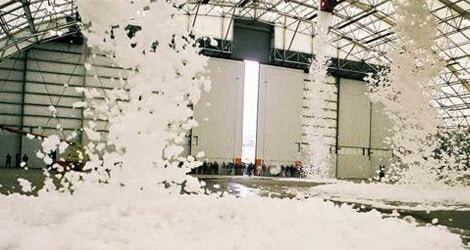 • Fire fighting foam installations. A water spray system is connected to the supply through an automatically or manually actuated flow control valve. Water is then piped to specially designed nozzles which distribute it over the protected area. 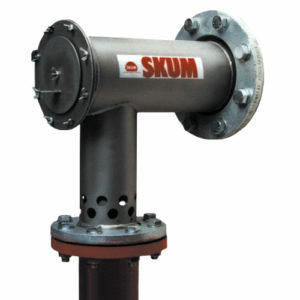 Automatic valves are actuated by a detection device installed in the protected area. Water spray systems can provide some of the most complex and challenging system designs encountered by fire protection professionals. The selection of the proper spray nozzle that achieves the coverage area and water density required for the hazard being protected is one of the most important steps necessary to ensure the successful operation of the system. Of course, there are many other steps of equal importance and complexity that are taken during the design and layout process for water spray systems, but it is the selection of the proper spray nozzles that can present one of the largest challenges and may ultimately determine whether or not the water spray system will perform as required. Due to the wide variations in the characteristics of water spray nozzles including discharge patterns, velocities, distances of projection and the variables of the hazards being protected a careful evaluation of the nozzle selection should be carried out. Some of the worst fires which have occurred in the history of fire fighting have been those involving oils and similar inflammable liquids. Unless promptly tackled at the source, such fires can rapidly grow to catastrophic proportions, often with irreparable damage to valuable plant. The High Velocity water spray system is used to fires involving oils or similar combustible liquids (flash points of 650°C or higher). Oil-filled electrical equipment such as transformers or lubrication systems on steam driven turbines are generally protected by High Velocity water spray systems. Cooling action results to some extent from absorption of heat by water particles but mostly from the conversion of water to steam. At a temperature of 15.5°C water is converted into steam, 0,45 kg of water absorbs 1,150 Btu. When the surface of the burning material is cooled to a point where flammable vapours are no longer evolved, the fire is extinguished. Smothering action is obtained when the water spray is converted to steam by the heat of the fire, expanding its volume approximately 1,750 times. As the steam envelops the fire area, oxygen is excluded which helps to extinguish the fire. Emulsification is obtained by mechanical agitation of water with oil or other non-water soluble liquids so that droplets of both materials become closely interspersed. Such an emulsion is produced by the action of water spray striking the surface of certain flammable liquids, rendering the liquid surface non-flammable. With liquids of low viscosity, emulsification is probably temporary, existing only during the application of the spray. With materials of higher viscosity, the emulsion will last longer and provide some protection against re-flashing. Dilution of water-soluble liquids is usually a minor factor in extinguishing a fire because of the high degree of dilution required. Medium Velocity spray systems are mainly used to protect structures, plant and storage vessels from radiated heat and direct flame impingement. The water is uniformly distributed over the surface to be protected. In some application nozzles may be installed to control or extinguish the fire depending on water design density as per applicable codes. The nozzle is used in deluge water spray system for special hazard fire protection application. • The complete external surface protection of bulk liquefied gas pressure vessels to prevent container failure and the resultant BLEVE (boiling liquid expanding vapour explosion). • Bulk flammable liquid storage tanks. • Structures supporting hazardous plant and equipment such as conveyors. 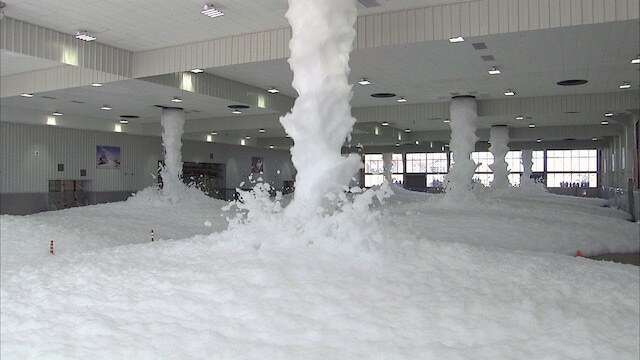 • Lab based testing of foam. • Service & maintenance of equipment. Each service is there as a support mechanism for customers to get the best out of every Tyco product, in every situation. We support customers with fire protection solutions in diverse markets, including leading oil and petrochemical producers, mining, power generation plants, logistics, marine & and offshore industries around the world. Servicing is normally done through a combination of our mobile technicians utilising the specialised service centre infrastructure as back up for all off site works. All Advanced fire suppression Technologies service centres are SANS 1475 approved. We regularly provide loan units where necessary thereby reducing the turnaround time dramatically or ensuring that your premises are not left at risk. Fire detection systems provide constant monitoring and, therefore, early warning, to minimise the losses and liabilities associated with fire. This prevents damage to property and products, loss of life, financial loss, consequential loss of profit, loss of productivity and insurance repercussions. There are different types of electronic fire detection systems and accessories to suit every situation, ranging from small office installations to large scale warehousing and mining applications. There are essentially two different types of fire detection systems: addressable systems and conventional systems. An addressable system is able to pinpoint the location of each and every detector and other devices, where a conventional system only differentiates between zones. A selection of application specific detectors can be utilised on either system. Detectors include optical smoke detectors, heat detectors, linear detectors, beam detectors, gas detectors, aspirating air sampling detectors and many more. 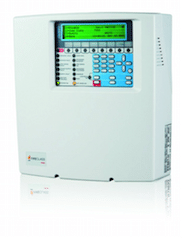 Fire detection systems are widely used in offices, hotels, warehouses, factories and mines, to name a few. We have personal who are SAQCC qualified to do the installation work on the above mentioned conventional or addressable systems. In order to have the system installed correctly to standard, a competent SAQCC registered designer will design such installation that will conform to national standards. The system will come with a complete layout drawing of the system. The drawing is imperative in order for the Maintenance to be completed. The maintenance of your fire detection and suppression system needs to be documented and updated as prescribed. Your fire system needs to be checked periodically by a knowledgeable person to ensure that its integrity is safeguarded and that it is able to sound an alarm and suppress the fire condition if activated. We have technicians 24/7 365 days a year that can meet all service level agreements. Our maintenance team’s objective is to maximise the reliability of fire protection systems and equipment in such a way that they meet the requirements of the relevant design, installation and commissioning standards and are likely to continue to do so until the next scheduled service. This objective provides a systematic and uniform basis for building owners and managers, regulators, contractors, insurers and other stakeholders to implement and administer inspection, test, preventive maintenance and survey programmes applicable to fire protection systems and equipment. 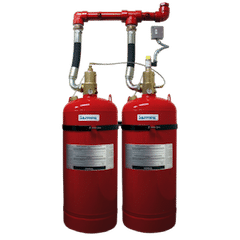 Trained SAQCC personal will conduct all service work on either Fire extinguishers, Hose reels, hydrants, Sprinkler systems Fixed installations or gas suppression systems. These were just a few examples of the services we offer the client. Please contact us for further information.